New Jersey Monthly magazine ranked Boonton Township as the 4th best place to live in New Jersey in its rankings of the "New Jersey's Top Towns 2011-2012" in New Jersey! Boonton Township is a lovely town has a rural feel with sprawling properties and farmlands interspersed throughout. Boonton Township offers beautiful scenery and large lots in comparison to its neighboring towns, Mountain Lakes, Boonton, and Denville. The Boonton Township School District serves students in public school for Kindergarten through eighth grade at Rockaway Valley School. As of the 2011-12 school year, the district's one school had an enrollment of 487 students and 37.0 classroom teachers for a student–teacher ratio of 13.16:1. For ninth through twelfth grades, public school students attend Mountain Lakes High School, in Mountain Lakes, as part of a sending/receiving relationship agreement in place with the Mountain Lakes Schools. Mountain Lakes High School has won awards and consistently places in the top 5 high schools in the area. Boonton Township parks are well equipped, offering tennis courts, walking paths, hiking trails, baseball, soccer, and lacrosse fields, as well as pristine ponds and picnic areas. Bordered by Boonton Town and Denville, the community is close to shopping and restaurants available in these nearby towns. 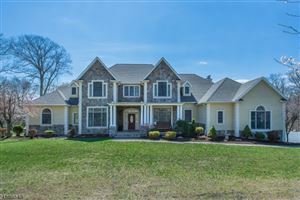 The rolling hills and open spaces offer privacy, beauty and lovely natural surroundings with close proximity to New York City and Morristown. Neighboring Mountain Lakes, Boonton and Denville offer trains to the city as well as direct bus service with commute time to the city approximately 45 minutes. Sought after for its beauty and natural surroundings as well as its award winning schools and commutability to New York City, this town offers a wonderful lifestyle. Recent real estate sales in Boonton Township are available for review,Boonton Township NJ Residential Real Estate Market Sales.